During a speech he gave at Chatham House on 29 July 2016, former Kenyan prime minister and opposition leader Raila Odinga expressed his support for the full international recognition of Somaliland as an independent state. His remarks came just a week after Peter Munya, chair of Kenya’s Council of Governors, also called for “some form of recognition” of Somaliland’s statehood. 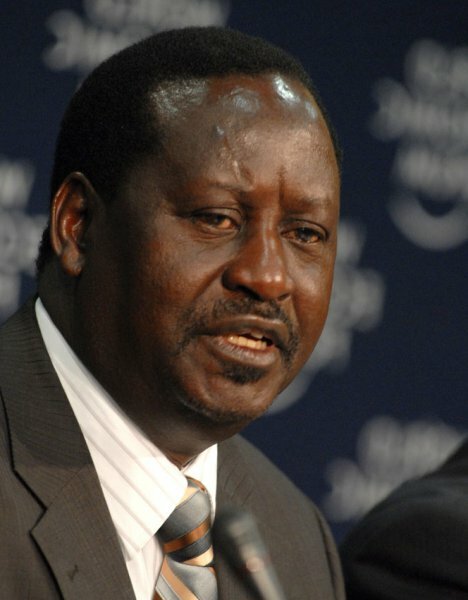 Kenya’s opposition leader and former Prime Minister Raila Odinga has indicated his support for the recognition of the breakaway region of Somaliland barely a fortnight after a governor from the same country announced Kenya would recognise Somaliland if it reduced tariffs on Kenyan product exported to the region. Speaking at the British think tank, Chatham House, Saturday [6 August 2016] on the Importance of Democracy in Africa, Odinga said he personally acknowledged the call for the recognition of Somaliland as an independent country. “I myself am (sic) a strong supporter of the recognition of Somaliland… I think there is a very strong case,” said Odinga. His statement drew a storm of reactions online, some in support of his comments while others – including Somalia’s ambassador to Kenya – rubbished Odinga’s ideas as irresponsible. “Irresponsible and damaging STATEMENT. Unity, sovereignty & territorial integrity of #Somalia is inviolable,” ambassador Jamal Mohamed Hassan said in a tweet. Odinga’s statements come barely two weeks after the chairman of the Council of Governors and also Governor of Kenya’s khat exporting region Meru said he had held talks with the government of Somaliland to find ways to reduce tariffs imposed on khat from Kenya in exchange for ‘some form of recognition’. “In my deliberations with top government officials, I managed to convince the government to appoint a technical committee to review the duty in exchange of some form of recognition of the Republic of Somaliland by the Kenyan Government,” said Munya in a Facebook post. Somaliland declared its autonomy from larger Somalia in 1991, following the collapse of the Mogadishu-based government and has since advanced its course for secession and international recognition.